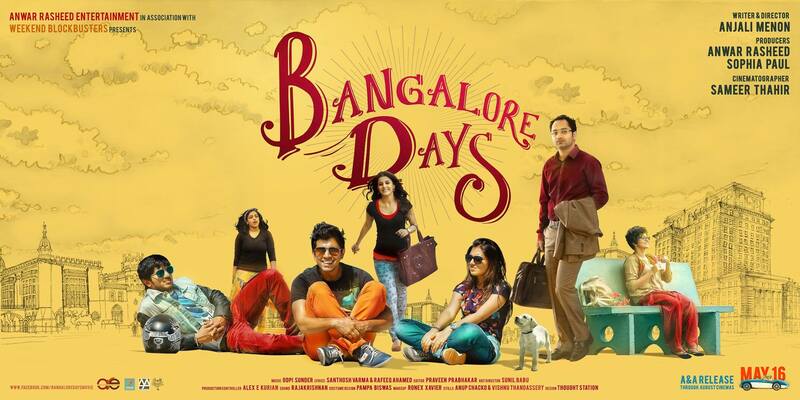 Bangalore Days is a gem of a film, written and directed by Anjali Menon, who was also responsible for the excellent Ustad Hotel. The film follows the lives of three cousins after they each move to Bangalore for different reasons and despite the almost three hour run time, it’s a completely absorbing watch. The young actors are the highlight, but the plot for each is perfectly developed and fits neatly into the overall story, so that there is a ‘fly on the wall’ feeling of watching real lives unfold. Even the slightly clichéd drama that forms the final climax is compelling, although the ending is never really in any doubt. Beautifully developed characterisations, a clever storyline and gorgeous cinematography all add up to make Bangalore Days a must watch film. The three cousins, Krishnan PP aka Kuttan (Nivin Pauly), Divya (Nazriya Nazim and Arjun (Dulquer Salmaan) have been friends since they were children when they spent their summers together in the family’s ancestral home. Divya is a good student who has dreams of completing an MBA while Kuttan achieves his desire of escaping rural Kerala when he lands a job as a software engineer in Bangalore. Meanwhile Arjun seems content to drift, working at night as a graffiti artist and using his mechanical skills to work on motorbikes. As the film unfolds, more of Arjun’s past comes to light, including his unhappy childhood following his parents’ divorce. All of this has made him something of a rebel and disinclined to settle in any one spot or profession. Divya’s parents decide to get her married quickly to counteract an inauspicious horoscope, firmly ending her dreams of study although the prospect of moving to Bangalore after the marriage is an enticing incentive. But things don’t appear too favourable when the prospective groom Das (Farhadh Faasil), reveals he was in a previous serious relationship and isn’t sure if he is over it. Divya’s main reason for going ahead seems to be the family dog’s acceptance of Das, and to be fair, I can completely understand her reasoning. Surely anyone who is a dog-lover cannot be a bad person? 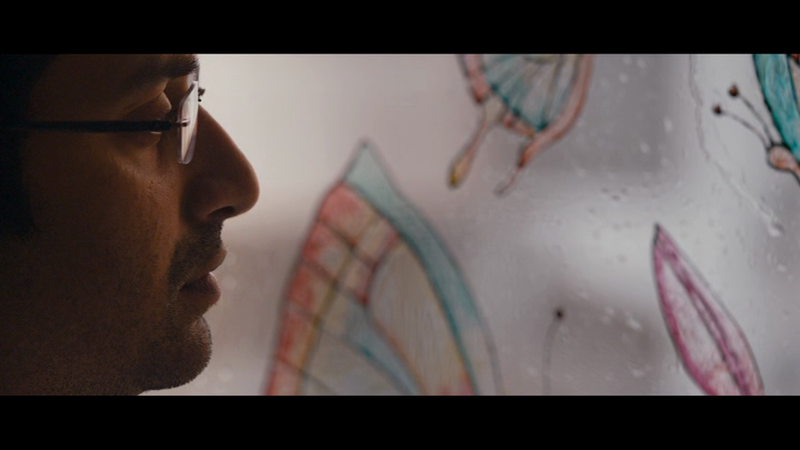 Throughout the film Anjali Menon small touches like this to successfully develop the characters and illustrate small traits that become important later. It’s simply done, but very effective and adds to the realistic feel of the characters. The songs by Gopi Sundar are another highlight and this one sums up the different personalities and the relationship between the cousins perfectly. Needless to say when Divya moves to Bangalore with her new husband the situation does not improve and it’s not long before she is bored and resentful. Luckily Arjun has also moved to Bangalore to complete the confluence of cousins and is working for a Motocross bike team. With her husband’s indifference as motivation, Divya spends her days and nights out with Arjun and Kuttan, further increasing the distance between her and Das. At the same time Kuttan has found what may be the love of his life in the form of air hostess Meenakshi (Isha Talwar). Although it’s completely baffling as to why she would be interested in the conservative Kuttan, she quickly takes him in hand, giving him a total make-over in the process. As to be expected, it doesn’t end well, but there is some lovely comedy and genuine warmth in the relationship which allows Kuttan to explore his less conservative side. Arjun is also in love, first of all with the voice of RJ Sarah (Paravathy Menon) and her positivity, but this quickly develops further once he sees her in person. There is a lovely moment where, after Sarah accuses Arjun of following her, which to be accurate is exactly what he has been doing, he eventually responds that rather than following, he would like to walk with her. It’s very sweet and the relationship between Arjun and Sarah develops into a full scale romance with plenty of sparkage between the characters. What makes the film work so well is the excellent casting and the outstanding performances from all the actors. Nazriya Nazim is perfect in her role and even more impressive here than she was in Raja Rani. Her reactions and emotions are perfectly nuanced and her easy camaraderie with her cousins is well portrayed. Farhadh Faasil is also excellent as her distant husband with an unresolved past and his emotional delivery as his character gradually thaws is superb. Perhaps because the two actors are partners in real life, the depiction of their marriage is also very well done and the relationship is completely believable throughout. 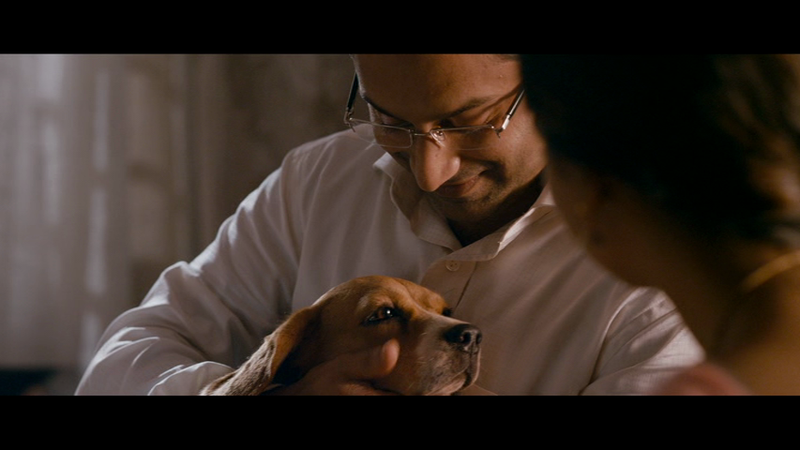 Even better though is Dulquer Salmaan who gets his portrayal of a rather bitter but still compassionate man spot on. His relationship with his cousins is perfectly casual with plenty of chemistry that really makes them seem like a family. His expressions and body language speak more than the dialogue when he is with Sarah and he makes Arjun a more sympathetic character than I expected given his opening montage. Dulquer’s character is well written but his performance takes it to the next level and I think this is the best I have seen him so far. Nivin Pauly has a more difficult job since Kuttan is self-restrained, almost staid and nowhere near as exciting as Arjun. However he still does a fantastic job with the character, particularly in the interactions with his father (Vijayaraghavan) and mother (Kalpana), both of whom are also excellent and perfectly cast. There are many levels to his character and to his relationship with both his cousins and the rest of his family that I don’t think I fully appreciated on my first watch, but become more apparent on repeated viewing. Kuttan’s character provides most of the comedy, but his serious nature is a perfect foil to the more impulsive Divya and rebelliousness of Arjun. Although the film focuses on relationships, family, community and the three love stories, there is plenty more happening in the background. The film interposes the traditional values of rural India with the reality of modern city life, starting with the idea that community is lost in the city. However the complexities of this idea are further developed as Divya makes her own community wherever she goes, while Das carries his loneliness around with him as a shield. All the characters are looking for their own form of escape, some more literally than others, and all have personal challenges to overcome before reaching their goal. Anjali Menon develops the narrative through the different personalities and their attitudes, allowing the characters themselves to become the story and relegating the action to second place for much of the film. It works beautifully well and it’s refreshing to have a film about marriage and relationships that is ultimately so optimistic and hopeful. 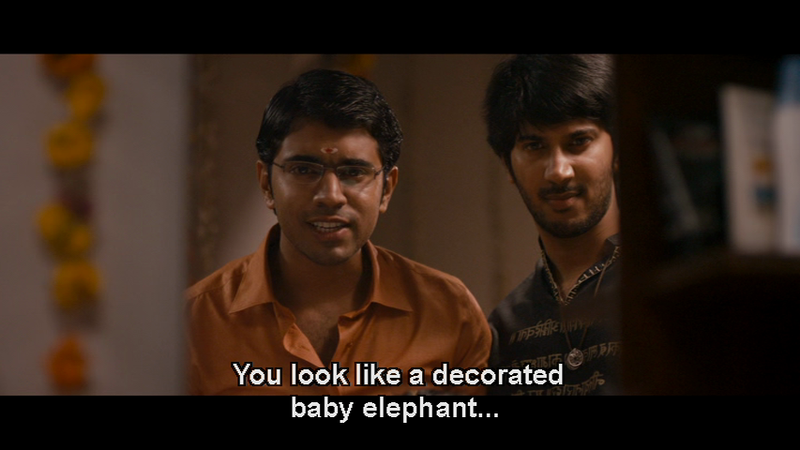 Bangalore Days is an easy film to enjoy and I thoroughly recommend it as a modern tale of relationships. 4 ½ stars. This entry was posted in Mollywood and tagged Anjali Menon, Bangalore Days, Dulquer Salmaan, Fahadh Faasil, Gopi Sundar, Isha Talwar, Kalpana, Malayalam, Nazriya Nazim, Nithya Menen, Nivin Pauly, Parvathy Menon, Vijayaraghavan. Bookmark the permalink. You know, it’s going to be really ironic if my mother failed to grab my interest with all her recommendations of Malayalam movies over the years, and you succeeded with your blog. Thanks Amrita – I’m definitely with your mother when it comes to Malayalam movies! I think the new generation of film-makers coming out of Kerala are making some excellent movies, and so far almost everything I’ve seen has been fantastic! I know I’m not a very critical audience, and I usually find something to like in pretty much everything, but I’ve been impressed by the quality of recent films and by just how polished the finished product has been. I too loved the film a lot. Being a Bangalorean was waiting to watch the film with lots of expectations. 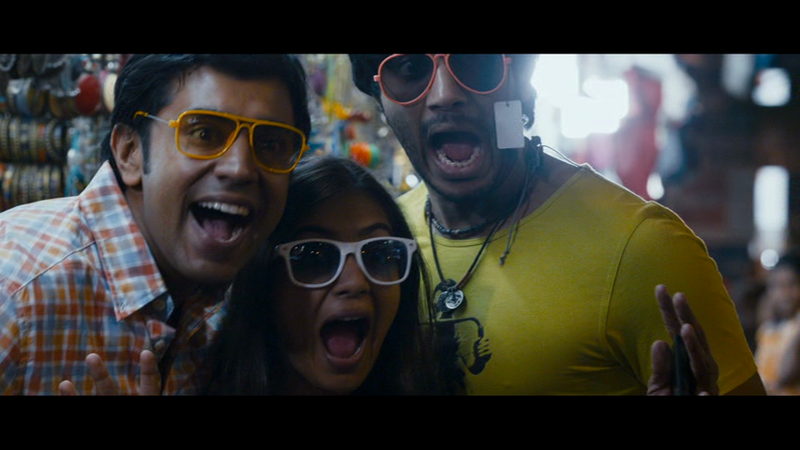 Loved the Cinematography in the film especially the opening shots of Bangalore showing the Kempegowda Bus Terminal. The film is a nice feel good film showing wonderful relationship between Cousins. When I watched the film it reminded me of my happy times with my cousins as children in our native. I liked the film a lot for the characterizations in the film. As you have pointed out the characterizations are from real life. However, the storyline is clichéd. And was really disappointed because only a little of Bangalore is shown in the film. That was really disappointing. I really only thought that the final bike race segment was somewhat clichéd – the rest was a story about relationships that I agree is often seen in cinema from all over the world, but I thought the treatment of the characters was quite novel here – especially the character of Sarah and the relationship between Divya and Das. Completely agree that the cinematography was excellent – most recent Malayalam films I’ve seen have been set in the countryside, so it was good to see a city portrayed just as beautifully. Yes, I do agree that the Characters were more real and taken out of real life and the relationship the cousins shared between them and their parents relationship with each of them was realistic. I think it makes a nice feel good film with all positive ending. However, with an awesome cinematographer like Sameer Tahir, they could have shown a lot more of Bangalore, since Bangalore was on the title too. The film could have Highlighted a lot more of the city. 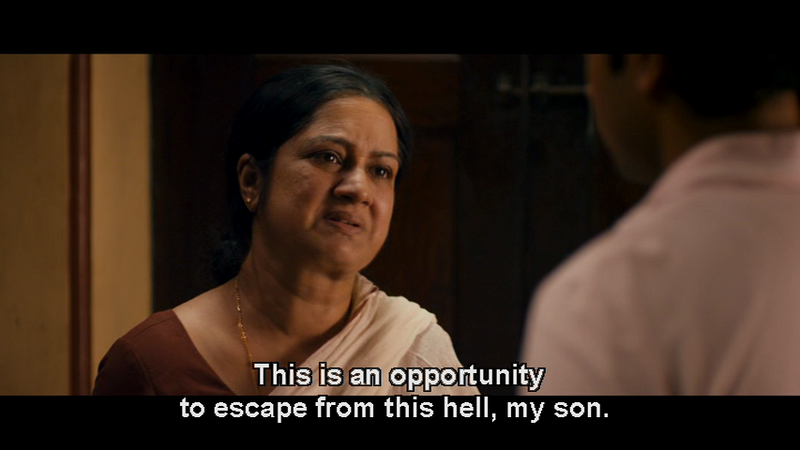 I had a problem both with Nivin Pauly’s character arc and the OTT performance of Kalpana as his mother – she’s such a fantastic actress and has a terrific comic timing but she does need a strong directorial hand to rein her in some times. She ended up being a caricature in this film. Thanks for your comment and your thoughts on the film 🙂 I really like reading about how other people see things! Although I agree that there are parts of the story that are cliched I found the overall film was different enough to escape that tag. I also didn’t have a problem with either Nivin Pauly or Kalpana – maybe I’m just getting very used to Southern Indian comedy, so it didn’t strike me as being too OTT. Now there’s a scary thought! I have to completely disagree with you here. I don’t think that looks are anywhere near a important as the ability to act. In many ways that is why the Malayalam film industry is more enjoyable than for example, mainstream Bollywood as they don’t concentrate on attractive heroes and heroines (although they have plenty) but recognise and give screen time to talented actors. Yours seems to be a very superficial view and doesn’t reflect what actually seems to be happening in the industry. There are many actors who don’t fit into that stereotypical buffed role of a hero or ultra skinny and overly made-up heroine who do very well – I think you are wrong.